Asia is one of the biggest and most fascinating continents. The main regions in Asia are the Middle East, Central Asia and South East Asia. Various factors, such as historical relations, the strategic situation, the absence of ethnopsychological barrier, and economic potential, pave the way for the emergence of a unique relationship between India, Pakistan and Central Asian Republics (CARs). Every 4th person in the world lives on the Indian Sub-continent. The territory has some of the fastest growing economies in the world. 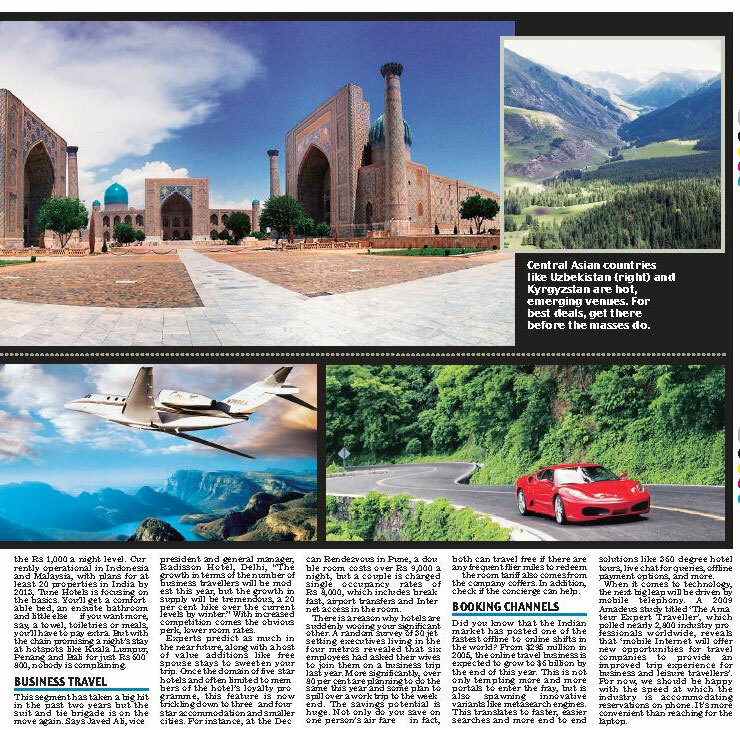 Central Asia is located adjacent to this region and offers a great potential for In-bound and Out-bound tourism in the fields of culture, religion, business, medical, history, adventure, fun and leisure and family travel. Being in the middle of the Eurasian continent, it is also one of the most convenient routes of transit. The Indian Sub-continent is also a part of the Great Silk Route. In the light of their proximity and geo-political situation, CARs will become partners in economic, cultural, and transport affairs that offer a huge potential for Corporate, Incentive, and Business travel and Tashkent city, as a regional hub, is an optimal MICE destination to hold Sales conferences, meetings and conventions for Multinationals and other organizations. Uzbekistan has always been a destination which has attracted the interest of millions all over the world over past thousands of years! 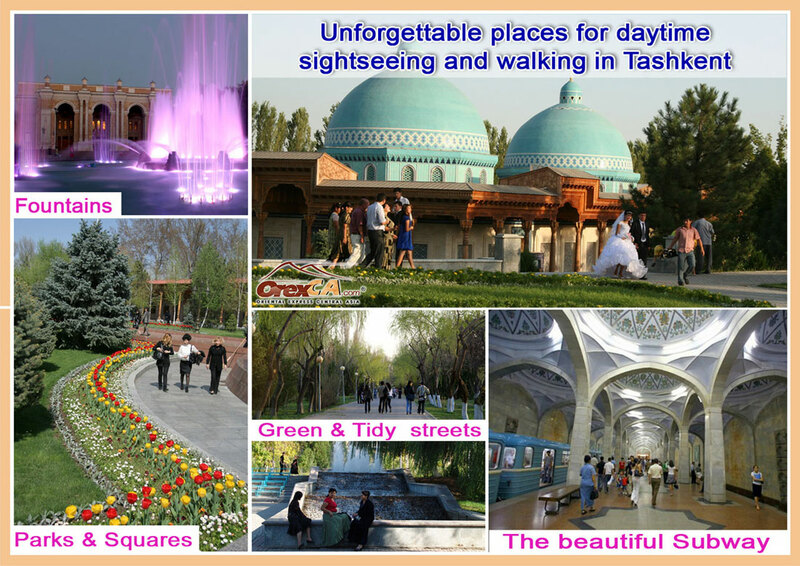 We in OrexCA.com has always tried to be the leader by using latest technologies to promote the true image of Uzbekistan. Our portal www.OrexCA.com is the living example of our endeavor and we always try to assimilate latest ideas, technologies, and markets. 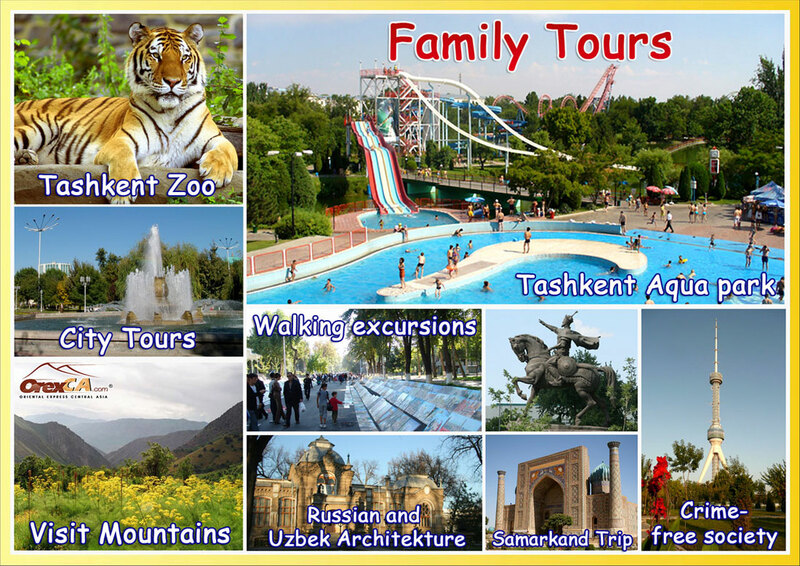 Currently we cover five countries of Central Asia ( Kazakhstan, Kyrgyzstan, Tajikistan, Turkmenistan and Uzbekistan) and provide any type of direct or combined tours here. Today we see the great potential and rising flow of In-bound tourism to Uzbekistan from Indian Sub-continent and we have developed different tourist products which have been designed in consultations with the most experienced people of tourism in Indian and Pakistan markets. Our Business Development Manager for Indian Sub-continent is Indian by nationality. Why Uzbekistan? 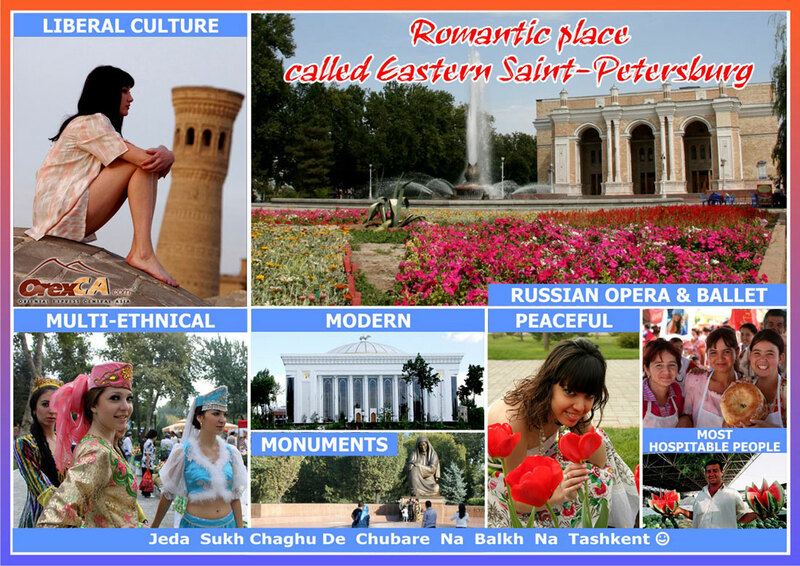 What interesting Uzbekistan offers to its tourists from India and Pakistan? Many can not help but wonder about Uzbekistan's stability. Now wars, no revolutions and very low petty crime. Local population is known for its peaceful attitude - something you'd keep among other good memories of Uzbekistan. All tourists coming to Uzbekistan note one established fact: the prices here are very reasonable. This is why spending money here is nothing but fun. 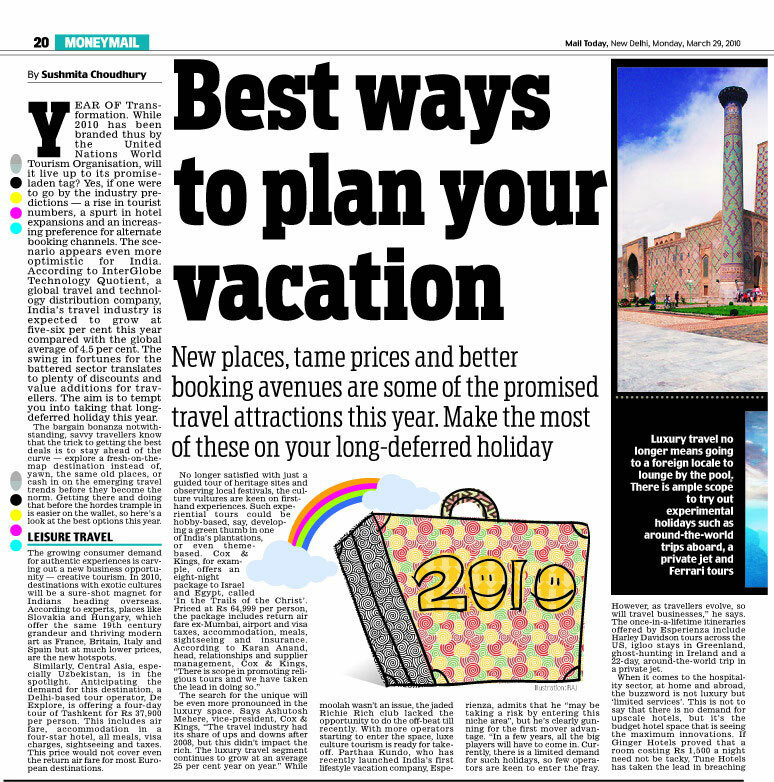 Shopping in the souvenir stores or art & craft boutiques, world class carpets at a moderate price, entertainment centers, wonderful restaurants offering a rich diversity of cuisines, beautiful ski resorts - are in the list of tourist attractions. 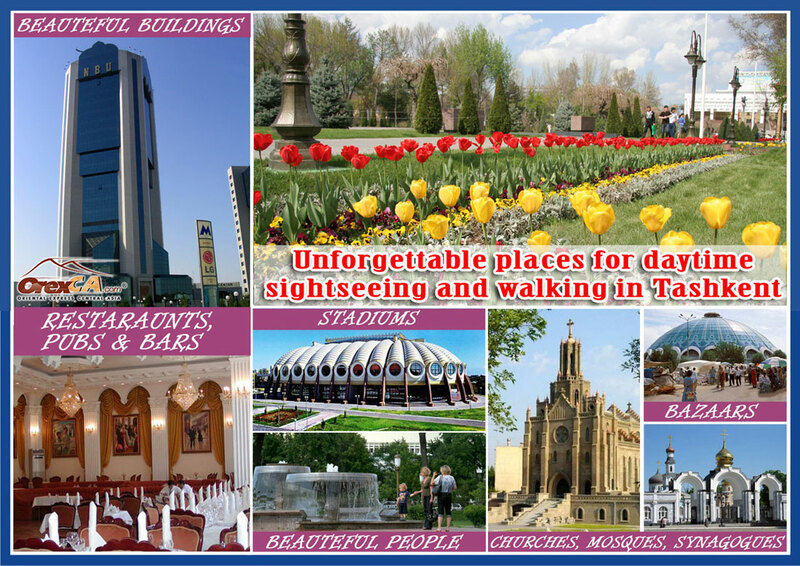 In the streets of Tashkent and other large cities of Uzbekistan you can walk without stumbling into empty bottles of beer, stepping over cigarette packs or having to find your way around garbage heap. Unusually clean, wide and shady streets, green parks and clear fountains are among charming elements. 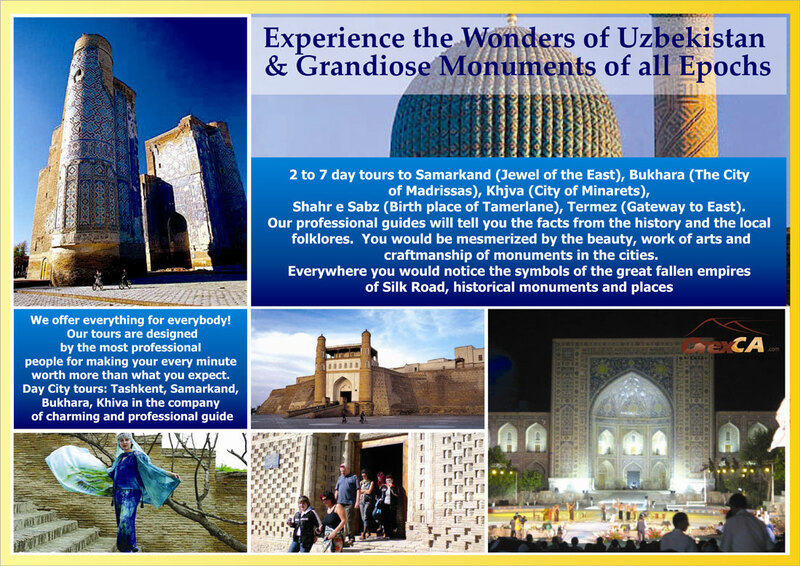 Rich history of the region, world's famous memorials of architecture and applied art, tours in the ancient cities of Uzbekistan, stories told by the professional guides that one could listen to eternally - this is what you might expect. 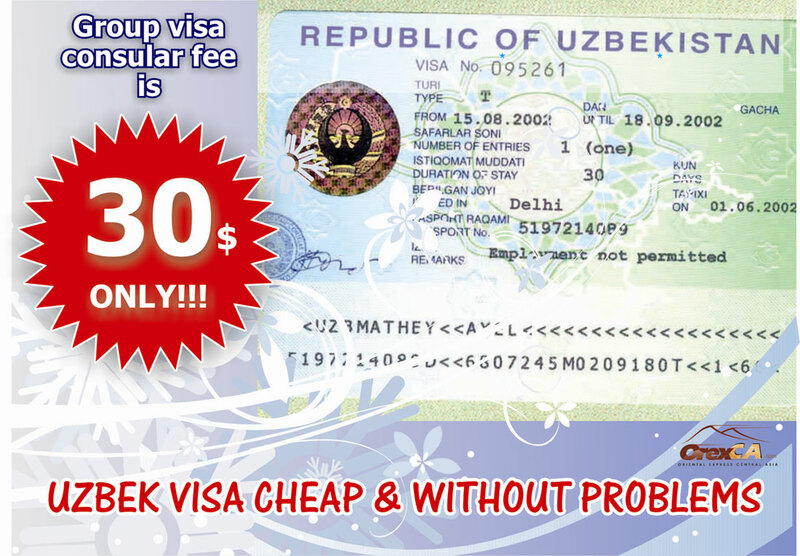 Uzbekistan visa cheap and without problems. Group visa consular fee is US$ 30 only. 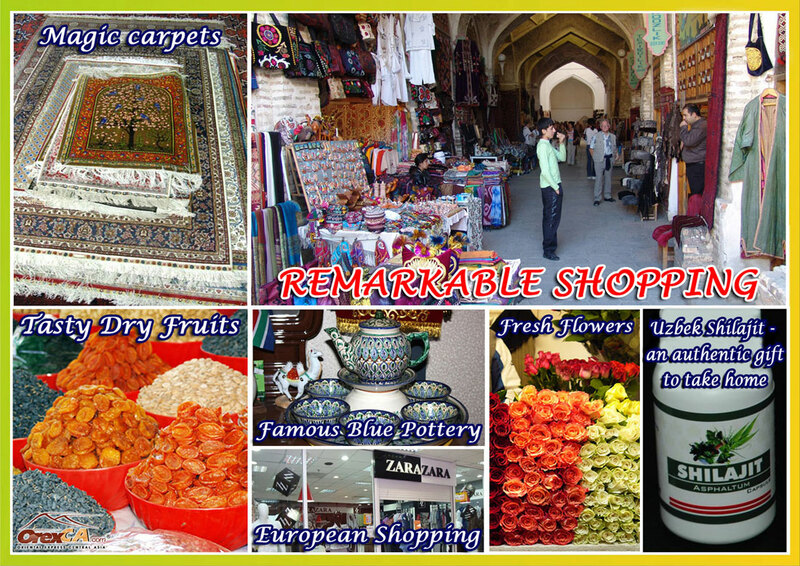 And business opportunities in the big and growing Uzbekistan market. And certainly - Wonderful Tashkent - least expensive Eurasian destination, very relaxed and safe location for fun trips, a green, unpolluted city with gardens, parks and fountains, fresh air and clean streets, cheap accommodations with a good service and Russian Ballet, Indian restaurants, colonial & modern architecture, historical monuments and sanctuaries, various attractions and Oriental bazaars in which to shop etc. 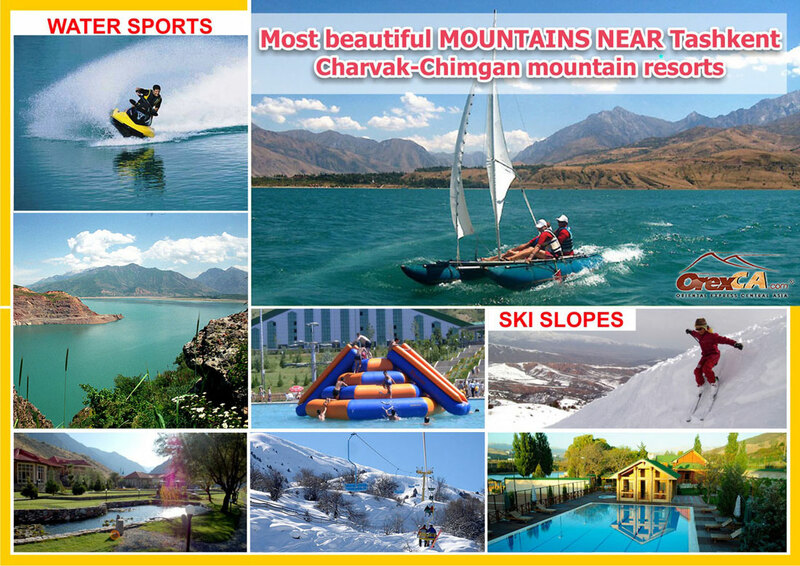 combined with visiting historical cities of Samarkand & Bukhara and natural attractions of Charvak-Chimgan mountain area. 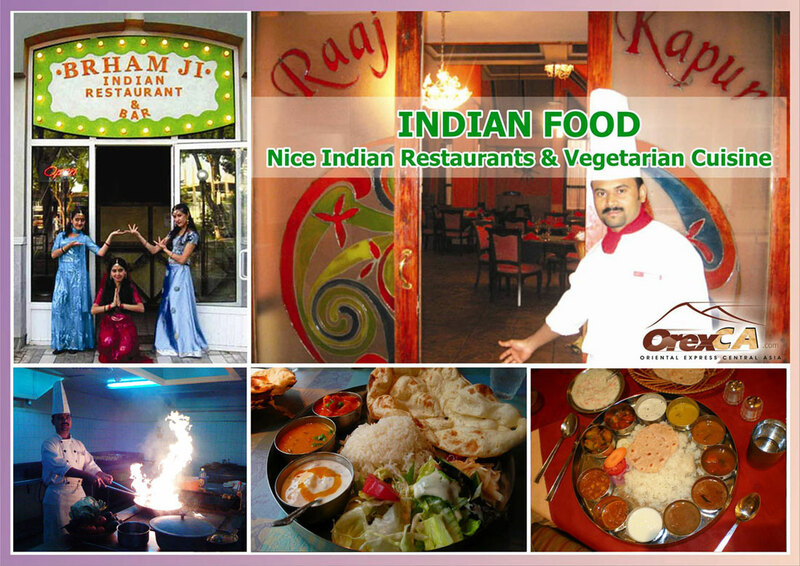 We offer professional approach at very low prices, excellent services and facilities for fun & leisure tours, MICE, gastronomic and family travel here. 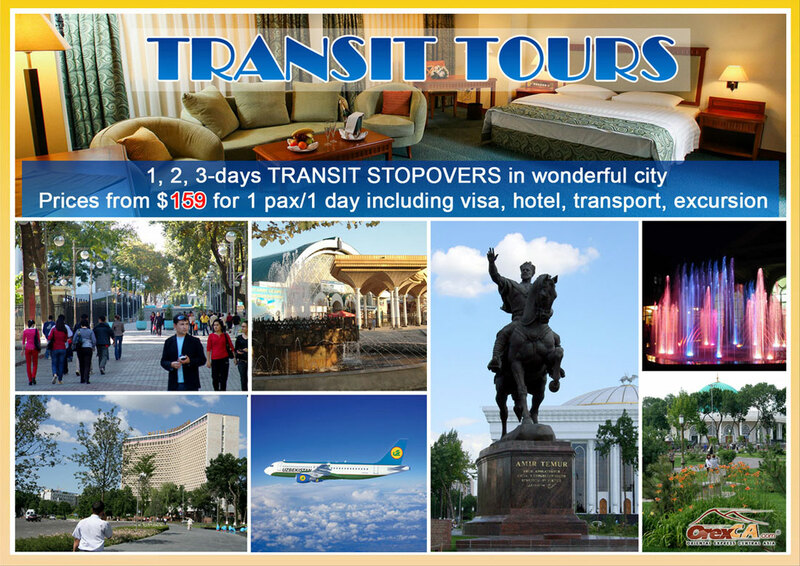 Unforgettable travel to Uzbekistan - a fantastic nearby travel destination, the land of Tamerlane and Babur, Al-Bukhari and Baha-ud-din Naqshband, a country where ancient history and modern culture converge! Our tours are designed by young and the most experienced professionals keeping in view the requirements of certain markets, by people who make your every minute worth more than what you expect and it is an honor for us that you have selected our services and we will try to prove that you have made the best choice. While you are here we would make every effort to bring you the maximum knowledge and experience the great wonders of Uzbek land and at the end you will agree with us that Uzbekistan is Irresistible!